Download an audio commentary of this show. Do some voices at Walt Disney World sound familiar? Find out which Odyssey voices are featured. Thirty episodes is too long for you? Try this condensed version of the saga. The Soda Fountain and AIOHQ had a countdown the Novacom finale. Check out the audio clips from the story arc shows. 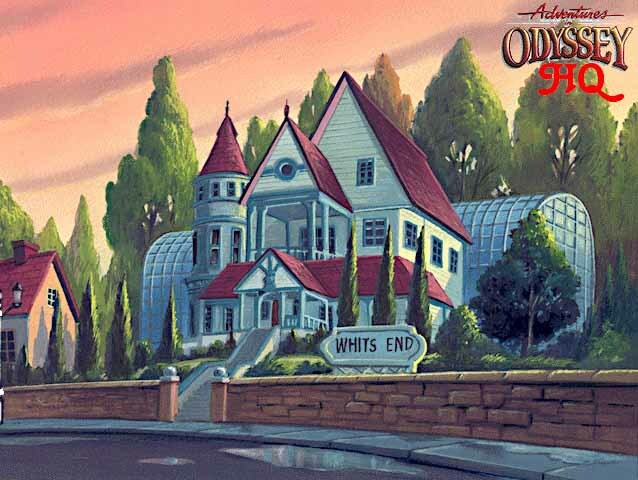 Read about a summer internship for Adventures in Odyssey. The most popular piece ever written for this website; this was one of the first AIO parody scripts. Writers occasionally have ideas that don't get used on the show. Here are a few of John's. A poem about Anthony's favorite character. Interact with other fans about Odyssey shows and issues. Submit your reviews of the latest episodes for publication online. Submit your favorite episodes and read what other fans think. Tell us your favorite quotes from the show and read our collection. What your most-loved Odyssey scenes? Read ours and tell us yours. Best Episode: "Two Friends and a Truck"
Best Episode: "Sunday Morning Scramble"
Best Episode: "Living in the Gray"
Best Episode: "Here Today, Gone Tomorrow?" Best Episode: "Plan B: Collision Course"
Best Episodes: "The Great Wishy Woz" and "Red Herring"
Best Episode: "I Slap Floor"
Paul McCusker (Writer) -- "Passages"
What were the problems with the "split" episodes? Dan (Switchflood) attempts an explanation. Read my "hopes" and concerns for the fall 1999 season. Also, read my Follow-Up to see which wishes were fulfilled. Written in the midst of the Spring 2000 season, this article detailed my concern with the lack of Odyssey storylines. Written just before the fall 1999 season admist many rumors of a Blackgaard resurrection, this article expressed my unease about a return of the series villain. Detailing of the Officer Harley shows and commentary on the character. Some of my problems with the Odyssey videos and why I like the Odyssey books. What time do things happen in Odyssey? Here's a list. Find out how the Odyssey Times and Scoop articles fit into the fall season shows. Details of Connie Kendall's "love life," complete with comments from Katie Leigh. You'd be surprised how many Odyssey characters have encounters with their dentists. Read some of the hilarious dialog that happens in the background of several Odyssey shows. A list of what has shown up on the menu in the audio series. There are a number of shows that occur in places other than everyone's favorite town. Read about them here. Read about the recording of this show from someone who was there! The episodes from which Whit's lines were drawn in the shows "Gone..." and "The Time Has Come"